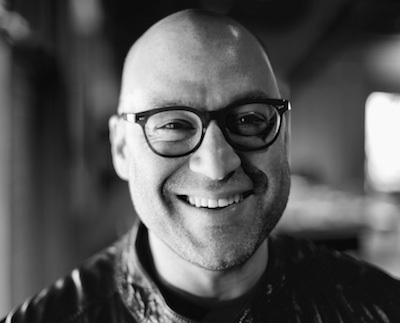 085: Leading your Organization to its Fullest Potential with Adam Schorr, Founder of Rule No. 1. Adam Schorr works to help people and companies tap into who they are, discover what signals they are sending to employees, and how to align employees with the company’s purpose. He shares how over time companies can become undesigned and some steps to take to get back on track with the desired purpose. Adam and Jen also dive into how culture can move you closer to or further away from your company’s purpose and how health and well-being needs to be wired into the organization. Tune in to hear Adam outline why wellness initiatives don’t last long-term and offer strategies to create a system/culture that naturally reinforces the desired behaviors. After 16+ years as a consultant, marketer, and innovation practitioner, Adam Schorr started Rule No. 1, a consultancy dedicated to helping companies be the best version possible of themselves—living their unique purpose and values in their culture and in the market. He recently spent 6 years at SYPartners focusing on the intersection of brand and culture—helping companies create distinctive brands and fully activate their people to bring those brands to life. He has partnered with senior executives at leading companies such as IBM, Hyatt, JetBlue, Celgene, and Metlife, to codify company purpose, values, behaviors, and vision; define brand identity and strategy; design leadership development and workforce engagement programs; and shift mindsets and behaviors to fuel brand, culture and performance. Adam began his career at McKinsey & Company, consulting on strategy and organizational change. He worked at Pfizer as a brand manager on Sudafed, Listerine, and Efferdent, and at J&J to build a new innovation capability and unlock non- traditional revenue streams. He got a BA in Speech & Drama from Yeshiva University, and a PhD in Psychology from the University of Chicago. In addition to his professional passions, he is an avid craft beer lover, home brewer, father of 3, and enjoys some quiet reading time when he can get it.